Burundian Franc is the official currency of Burundi. Burundi, a country located in East Africa is one of the poorest countries in the world. No wonder it has its name in the list of weakest currency in the world. 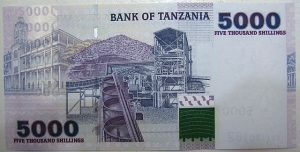 Tanzanian Shilling, also known as Shillingi, is the official currency of Tanzania, a country in eastern Africa. This was a replacement of the East African rupee which was introduced during the colonial period. This is the official currency of Colombia. The value of this currency has depleted by hundred 100% in the past five years. Malagasy Ariary is the official currency of the Republic of Madagascar. 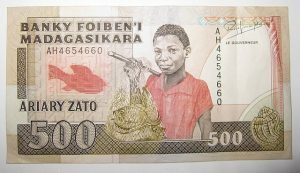 Introduced in 1961, the Malagasy Ariary had a value equal to five Malagasy francs. This is the official currency of the Republic of Uganda. It was introduced with the establishment of the Bank of Uganda in the year 1966. This is the official currency of Cambodia, a country in the southeast region of Asia. From the time it was introduced, Cambodian Riel had a low exchange rate. One of the reasons for this is the fact that foreign currency (US Dollar) was more popular among the locals in Cambodia. This is the national currency of Paraguay, a country in the continent of South America. It is one of the weakest economies of South America. The country suffers an economic downturn due to various factors such as unemployment, low-quality education, etc. 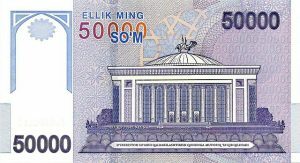 The Uzbekistani Som is the official currency of Uzbekistan. The country had been using the Russian Ruble even after its independence from the USSR. This had continued till Uzbekistan introduced Uzbekistani Som on November 15, 1993. Lao Kip or Laotian Kip is the official currency of Laos. Though the currency is increasing in value, it still has a long way to find its way out of the list of the lowest currencies in the world. This is the currency of Sierra Leone, a country in West Africa. One of the poorest countries in the world, Sierra Leone has suffered war and epidemics. It has a very weak economy which doesn’t seem to get better any sooner. This is the official currency of Guinea, a small country on the Western coast of Africa. Though rich in natural resources, the country has a weak economy because of the high inflation rate and low education rate. Indonesian Rupiah is the national currency of Indonesia. Although the country is believed to be economically stable, the currency here has a low exchange rate and hence it has made its place on this list. This is the currency used in the country of Sao Tome and Principe. The country is known for coconut, coffee, and cocoa exportation. Because of the country’s recent development in the petroleum sector, there is hope of a better economy in the future. This is the national currency of Vietnam, a country in Southeast Asia. The Vietnamese Dong is popular for being one of the highest denomination currencies in the world even though it is one of the lowest value notes. The Iranian Rial is officially the world’s cheapest currency. If you google “lowest currency,” the response will be #Iran‘s rial. This is the official currency of Iran. It is known for being the world’s weakest currency. Even though Iran is rich in oil, the country is sanctioned by the US for oil exportation which has made the currency of Iran weaker. That is all on the list of the top 15 lowest currency in the world as of 2019. Hopefully, you found this post useful. Keep visiting us for more updates from the world of finance.